After what to many came down as an unexpected result of the British referendum, another one could further accelerate the implosion of the European Union, this time in Italy. December 4th the Italians will be voting on political reforms. Thanks to the law of unintended consequences, these changes will pave the way for a subsequent referendum where people might be asked to vote whether the country should return to the lira as its legal tender. To understand why, we first have a look at the current political structure. The Italian parliament is made up of the Chamber of the Deputies (the lower house), and the Senate (an upper house), which are endowed with the same power. New legislation has to be approved by both chambers before it becomes law. Italy has about ten political parties, making it hard to create a coalition and form a government that gets the backing of a majority in both houses. In the last year and a half, the Italian parliament approved a series of the so-called ”Italicum” electoral reforms1)Italian electoral law of 2015, Wikipedia. In the new system, the party that receives 40% of the vote in the first run gets 54% of the seats in the Chamber of the Deputies. If no party achieves 40% of the vote in the first round, elections between the two leading parties must be held. Whatever the results of the first turn, the winner (even if he wins, say, less than 25% in the first round) takes it all and gets a majority position. This is a drastic change, providing for the Movimento 5 Stelle, which is gaining popularity, an opportunity to acquire an absolute majority in the lower chamber without having to win the absolute majority. In 2016, the Italian Parliament passed a Constitutional Reform bill that “effectively abolishes the Senate as an elected chamber and sharply restricts its ability to veto legislation” to simplify the legislative process. The bill is pending approval by the upcoming referendum, on December the fourth. The above-mentioned reforms would profoundly change the Italian political future, and make possible what was held impossible in the past. Matteo Renzi government is responsible for these profound reforms. Last January, Renzi declared his intention not only to quit the government in case his reform should be rejected but to leave politics altogether2)Renzi sulle riforme costituzionali: “Se perdo il referendum, lascio la politica”, repubblica 2016-01-12, turning the referendum into a de-facto matter of popular approval of his policy. His defeat and withdrawal from politics could smooth the path for the rising star of Italian politics, Movimento 5 Stelle, and, what follows, the referendum on the euro3)Italy’s 5 Star Movement Calls for Euro Referendum. The Wall Street Journal 2016-06-22. Since then, Renzi has reconsidered his position, as it could prove to be a mistake similar to the one committed by now former British Prime Minister David Cameron. The British held the referendum on the EU membership primarily to get rid of the Eurosceptic faction of the British Conservatives, but ended up losing the vote and the job, highlighting how detached from voters the mainstream parties have become. First possibility: Renzi wins in December. As we are writing, polls for the Sunday referendum show a lead for the No side, which has gained enormously after Renzi’s personalization of the referendum. Should polls prove to be wrong, however, and Renzi succeeds, the possibility of a referendum on the euro isn’t averted at all. The electoral reform and a referendum success are likely to help M5S (Movimento 5 Stelle) win in 2018: first of all, the constitutional referendum’s success would weaken the powers of the Senate, thus bypassing a problem that M5S might face, should it win in 2018 even if it lacks a Senate majority. The Chamber of the Deputies would be a contest between Renzi’s Democrats and M5S taking the first two spots. Neither of them is likely to secure the 40% in the first turn, thus creating a high probability of a second round. Polls show that Democrats, who in the first turn will gather approximately 30-35% of the votes, in the second turn will receive support from Sinistra Ecologia e Libertà that is likely to get 5% of the votes. M5S probably gets around 30% of the votes in the first turn, however, they can count on the massive support of Lega Nord (Eurosceptic, nationalist party) voters4)Basta Euro. Lega Nord counts for 10-15% of the votes, and one of its political goals overlaps with that of M5S, which is to leave the euro altogether. A sizeable chunk of Forza Italia voters (Berlusconi’s party, Lega Nord’s allies), 10% of the Italian electorate, whose preferences are more mixed will rather support M5S than the Democratic Party of Matteo Renzi, in a second round. M5S does not need a majority of voters to become the winner of the next election: it is enough for it to score a victory in the second turn. The crumbling popularity of Renzi’s government will work to their advantage. Additionally, the Democrat’s bulk of the voting base is made up of people aged 55 and older, while, unsurprisingly, the unemployed and disenchanted youth are voting for anti-establishment parties like M5S or Lega Nord. Time is against the Democrats, as the strongest voting base is dying out, while new voters are likely to join the ranks of M5S. Should Renzi win in December, the referendum on the euro is only postponed till the 2018 elections. Second possibility: Renzi loses in December. Here there are many forks in the path, but when it comes to the referendum on the euro, it seems to be more a matter of “when”’, rather than “if”. If Renzi doesn’t leave politics or is replaced by another Democrat who enjoys parliamentary majority, then the scenario is no different from that of Renzi’s victory. Unwillingness to recede power, and political manoeuvring to prolong the Democrats government would further damage their reputation, adding to the arguments against them in the 2018 and, unless a miraculous economic recovery happens in 2017, their chances will be limited. If Renzi however leaves and new elections are called, then the scenario mentioned above will occur in 2017, with a probable M5S victory at the second turn. In this scenario, the referendum on the euro could be next year or in 2018. The biggest obstacle to a referendum on the euro is the requirement of a new particular Constitutional Law. A new Constitutional Law needs to be approved by both chambers of the Italian parliament with an absolute majority. In this scenario, the Italian voters reject the reforms to diminish the power of the Upper House. Now M5S is most likely to win the Lower but not the Upper House because the distribution of seats in the Senate is based on regional votes rather than national vote and M5S lacks the local support. 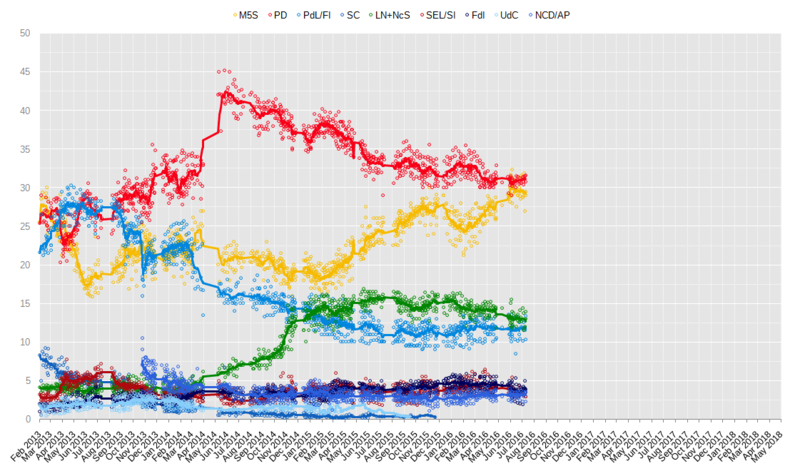 Should M5S lack the Senate’s majority, however, they are likely to receive the support of the “euro referendum” from the otherwise opposition party Lega Nord. Lega Nord’s supporters are heavily concentrated in some regions, giving them a stronger edge in the upper house. Italians may be thwarted in their attempt to leave the euro by Brussels because there’s no option in EU treaties, no provision, no article 50, etc. for that. The European treaties only require member states to adopt the euro. 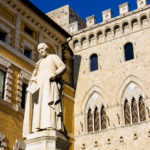 Unlike the UK, Italy was one of the founding members of the European Union from the very beginning. The UK has never been a big net contributor to Brussels due to the ”UK rebate”, a special provision negotiated by Thatcher in the 80s, while Italy is Europe’s third net contributor. 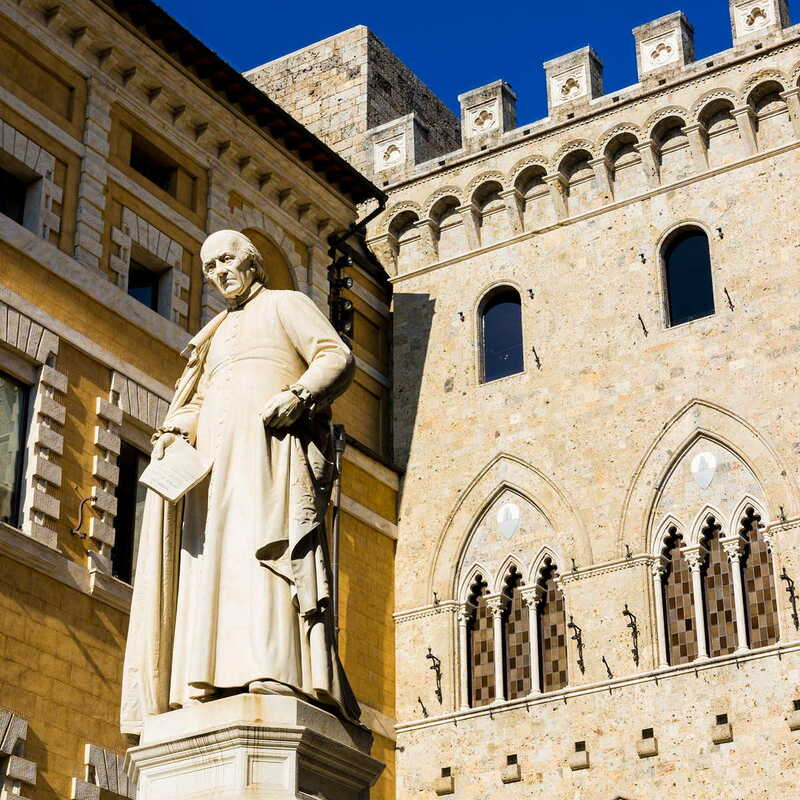 If Italy, one of the world’s leading economies, leaves the euro, it will be beneficial for Italy in the long run, but in the short run, it will unravel the Western financial markets. If the country leaves the European Union, it will be a bigger blow to Brussels than Brexit. Italy leaving the euro and eventually the European Union is from an other magnitude than Brexit and will rock the Western Financial world and will shake the whole European project on its core.